Radio Resource has been providing two-way radio and wireless communications in the Denver, Colorado since 1989. Learn more about Radio Resource Inc. Contact the two-way radio communications experts at Radio Resource. Radio Resource has developed communications systems that allow our customers a wider range of communications at a lower cost. View Radio Resource service area. Hear what great things Radio Resource clients have to say. Find out about employment opportunities at Radio Resource. Find out about the latest two-way radio news. Take our customer service survey. Our state of the art service center based in Wheat Ridge, Colorado, offers unparalleled service and installation of two-way radio systems, mobiles, portables and many other wireless communications products. Gather information and download free resources to learn more about Radio Resource and Motorola Solutions products. 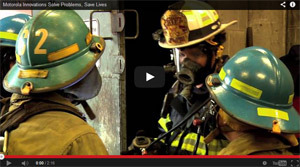 View the latest two-way radio product videos from Motorola Solutions and Radio Resource. Get started with a free two-way radio quote today.